For the first time in two years, Jen Miller got to show off her famous troll doll collection this weekend. Jen Miller got to show off her famous troll doll collection last week for the first time in two years. 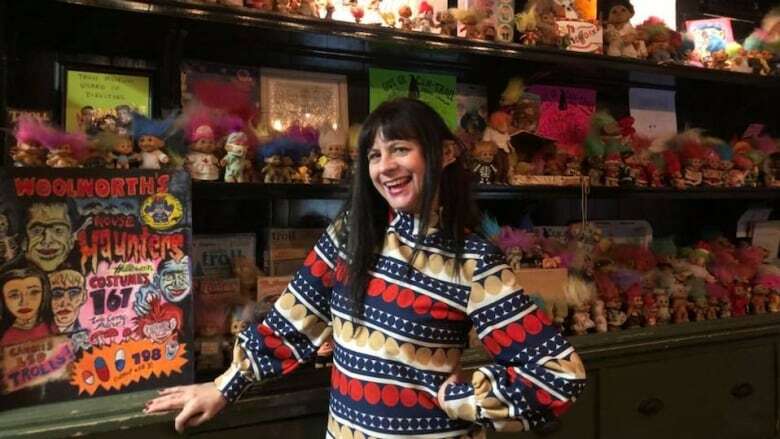 Miller, a New York artist better known as Reverend Jen, resurrected her shuttered troll museum as a five-day pop-up in the lobby of Manhattan's Ace Hotel as part of the Outsider Art Fair. Her 400-plus troll dolls and troll-inspired art were on display for the first time since she was evicted from her tenement apartment in New York's Lower East Side in 2016. "The trolls were smiling. Their hair looked fierce and they had their outfits on — you know, they look good," Reverend Jen told As It Happens host Carol Off. "There were audio tours, only the audio tours only played Led Zeppelin. That's all you need to know about the troll museum. It's the official soundtrack." Troll dolls, with their wrinkled smiling faces and tall colourful hair, were first invented by Danish woodcutter Thomas Dam in 1959 and later went on to inspire several video games and a DreamWorks animated film. "I started collecting trolls when I was a little kid. And then, as a teenager I became even weirder and, you know, my collection grew," Reverend Jen said. When she was in her 20s, she said she started hosting open mics in the Lower East Side, and her fans would bring her trolls as gifts. "Then I had so many trolls, and I had this front room in my little tenement apartment that I used as a painting studio, but I was mostly doing paintings of, you guessed it, trolls," she said. "And I lived across the street from the Tenement Museum, where people were paying to go on tours of an old tenement that looked very much like my own, and I thought, well, I could have a museum too just like that one — but it would have trolls in it." So she arranged her troll dolls and art in the little front room and started distributing press releases for the Lower East Side Troll Museum. "Then it got listed in the press. I thought, 'Oh no, what am I doing?' But people showed up in droves, really curious about the trolls, and I realized then just how many people were fans of trolls," she said. "It became this wacky neighbourhood institution." One highlight of her collection is the haunted troll from Canada. Reverend Jen said she came across this particular gem on eBay. "I read the story that this old lady had tried to give this little kid this troll but that the kid refused it, right? This is written by the child's father. Purportedly, this happened. I don't know if any of it's true or this guy was just trying to get rid of a troll on eBay," she said. "But the little kid reluctantly finally took it and then stuck a stick in its neck, and then their house became haunted and things started happening like the water going off an on at various times." She was so enamoured with the strange back story, she broke her usual vow of not shopping for troll dolls on eBay. "I was the only person that bid on it and I think I bid 99 cents or something," she said. "And it just became one of my favourite trolls, she said. After a 16-year run, the troll museum closed up shop in 2016 when Reverend Jen was evicted from her sixth-floor apartment on Orchard Street. A series of major hardships followed. 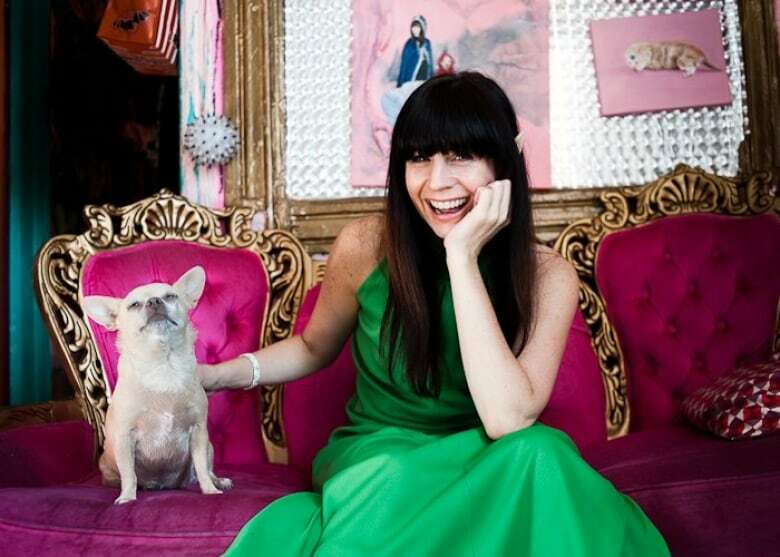 Her boyfriend died of brain cancer, and her pet dog, Reverend Jen Jr., also died. After her eviction, she was briefly homeless. The trolls have mostly been in storage since as Reverend Jen moved from place to place, getting her feet back on the ground. They now reside at her new apartment in Sheepshead Bay, Brooklyn, most of them still stuffed in storage bins. That is, until Tuesday, when they got to shine in all their glory once again — with Reverend Jen on hand to answer questions for anyone curious enough to ask. Lindsay Rootare, 26, a fan of the original museum, was on hand Tuesday to check out the trolls. "The troll museum was squashed and taken away from her so suddenly," Rootare told the New York Times, "so any chance to get to see it now is important." It just goes to show that troll dolls still resonate with people after all these decades, according to Reverend Jen. She's now hoping to take her trolls on the road for a traveling exhibit. She says that in 2019, a troll museum can do a lot of good in the world. "I think because they're always smiling. They have their hands out. They're just grooving with the eternal now," she said. "And I think if more people were doing that ... maybe people would be less hostile with one another. You know, just sit down and comb a troll's hair." Written by Sheena Goodyear. Interview with Jen Miller produced by Allie Jaynes.